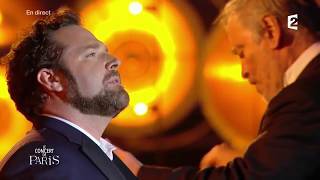 The Giulio Gari Foundation will honor American tenor Bryan Hymel with a Distinguished Achievement Award at a New York City gala on September 23. The event honors honors this year’s winners of the Giulio Gari Foundation Competition, which Bryan won in 2008, and will also recognize soprano Diana Soviero with a Lifetime Achievement Award. Brian Kellow of Opera News hosts the ceremony.